New Moon! AND my 16th birthday! Are You going to see New Moon??? I'm already planning on getting my New Moon tickets for next week! Well, you know since it might sell out! My mom has decided to let me take off school next Friday for the occasion!!! She is letting me since I'm doing well in school. So here's the plan.....Next Thursday we are going to this movie theater out of town for the Twilight screening at 9 P.M....and then at the same theater we will have tickets for the 12:01 A.M. showing directly after! So, another reason I'm getting those tics early is so I don't have to wait in the freaking line! That way I can enjoy it more! Then on Friday I will go to maybe two showings! I know right....I'm nuts...but I will go to the first showing in my town, which will be 1:00 P.M.....then later that day I will have to take my friends to it! So, I have an excuse! Then, I will probably end up seeing it again on Saturday and Sunday...Although, Sunday is my 16th BIRTHDAY!!!!! You can only guess my theme! I think I will have the party on the Saturday though....just cause I despise Sundays! I will even get to wear Bella's New Moon dress! It's going to be so much fun! I will try to post pics of the professional cake someone is making me! You know the one in the trailer? 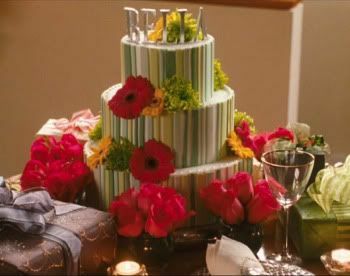 Well, it will be an exact replica of that, but instead of Bella's name being on top...my name will be there! I wish I could tell you more....Haha BUT I'm talking way tooo much! SO are any of you planning on doing something for New Moon, or are you at least seeing it? Re: New Moon! AND my 16th birthday! This is what my cake will look like! Except of course the name on top! huh? I know I posted a lengthy response that I typed with one finger (was eating with the other ) but where'd it go? Bah. Don't want to type it out. Anyway, in short, yes, I probably will go see it in a couple of weeks if I can get my youngest sister to go with me. It's only fair since she made me watch Twilight in the first place. I had never intended to watch the other movies but I changed my mind about New Moon last week. congrats pop. I will be going to watch new moon but not the opening night. Happy early birthday to you. Thanks for the birthday wishes everyone! I can't wait! I was going to have it be just a family party and have one friend..but I've decided since I'm having such a grand party, that I should invite at least 3 more friends! I'm going to even make some goody bags for them I know right....my mom told me: "Aren't you told old to hand out goody bags?" ...I'm like "NO ONE is ever toooo old to get a bag filled with chocolate and other candy"...haha and can't forget the New Moon stickers! Happy birthday in advance, Pop! I like Twilight.. So may watch New Moon when it is released. I seen New Moon opening night (and watched Twilight in the theater before it) too. I had VIP treatment and 3 free tickets for both. We got to watch New Moon in a theater with only friends and family of the employees at the theater. It was a sweet deal! I was in the normal theater for the Twilight showing. I can't believe after a year girls were still swooning (loudly, and annoyingly) every time Edward was on the screen. I'm glad I went into the special room for New Moon... and got away from those swooning fan grrls. I liked the movie a lot (not just because I'm more of a team Jacob girl). I hope you had a great birthday. I'd love to see some pics. Did you buy the Bella dress from Hot Topic? I think I remember seeing it there. I agree that you're never too old for goody bags. I'm 25 and would still get excited about a bag of candy, and New Moon stickers. Oh My Edward! Congrats! 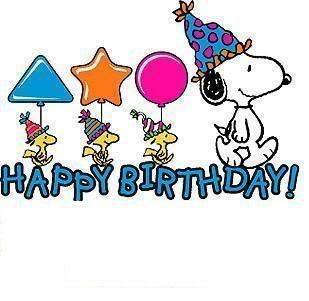 I really like twilight, and although I missed your Birthday, Happy Be-lated Birthday!